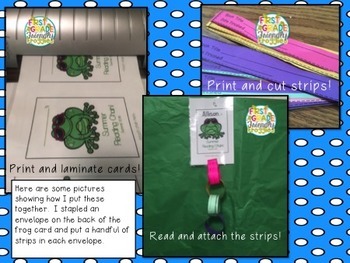 Offer your students a fun, visual reading incentive. This "reading log" offers students a more tactile and visual way to track their reading for the month! 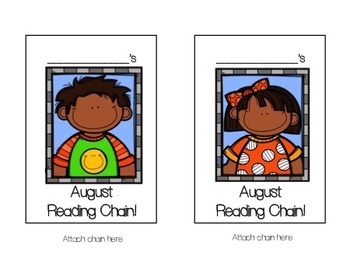 Students keep track of reading minutes (or book titles) by adding a link to their chain for the month. This type of reading log puts the students in charge and removes the parents from tracking the minutes! The reading chain is also a great way to celebrate a class goal, without singling out anyone. Every week, each student completes one reading strip for the total minutes read for the week! 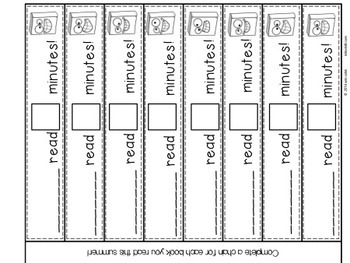 Then each student’s strip is added to the “Class” Reading Card! Set a class goal and celebrate! Challenge your students to keep reading during summer and holiday breaks! 5 versions of reading chain links. 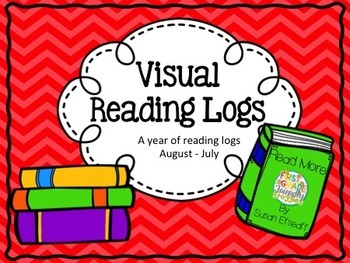 Monthly full color student Visual Reading Logs. Monthly full color Class Visual Reading Logs.